How’s that for a contradiction? We will have no religious tests for public office… as long as you believe in God. Will the resolutions pass? That’s the wrong question to ask, because if that’s the only marker of success, smaller groups will rarely achieve victory. What’s important is to have a seat at the table and to make sure others recognize that we’re a voice worth paying attention to. 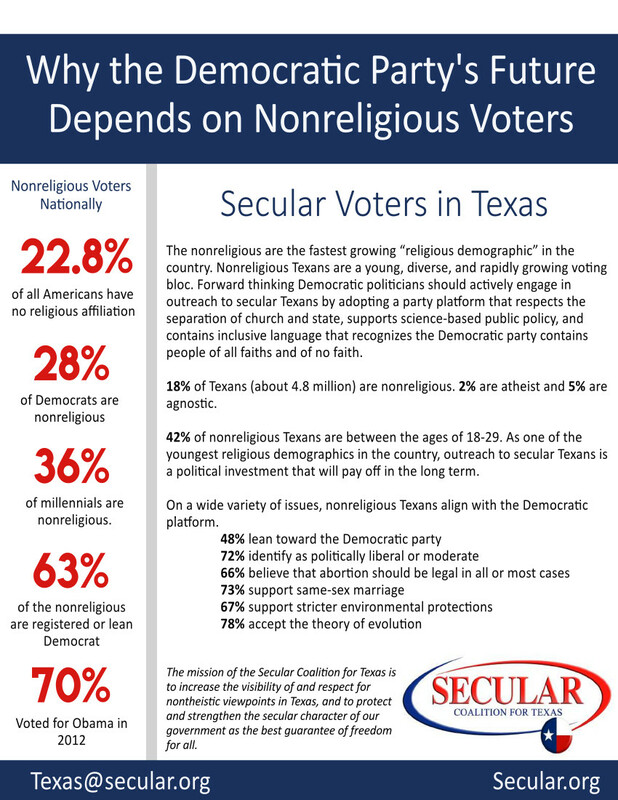 And for the first time, atheists in Texas will have that.